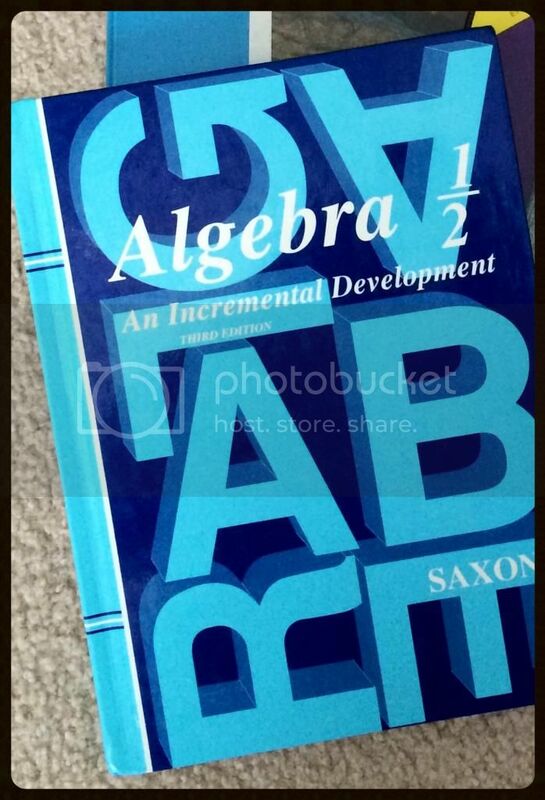 This summer we've been trying out a new method of utilizing our Saxon math curriculum and I must say it has been an absolute life saver... okay maybe just a sanity saver. Amber has always used Saxon math; she knows no other curriculum even having attended two different Lutheran schools prior to being homeschooled. Amber has never had an issue with Saxon and has great success with it. We know that it is not for everyone, but for those who can learn in that fashion it is a wonderful tool. However, lately Amber was feeling very stressed about math assignments and worried about getting wrong answers. She is an excellent math student and felt she should not be making so many mistakes since she is "good at math". This brought on more stress every time I tried to grade her assignments and tests. It had gotten to the point where I was grading math only once a week and during that time Amber closed her eyes and held her ears while nearly having a full blown panic attack. Seriously, it was just math assignments. Nothing bad was going to happen. I don't even record grades for daily work. I knew there had to be a solution, other than switching math curriculum, because really what would switching do for us? She would still be stressed about it and possibly not learning the way she thinks on top of it. I had done tons of research after we starting homeschooling about the proper way to utilize the Saxon curriculum. I really can't say enough wonderful things about Art Reed's Newsletters. He really knows the curriculum backwards and forwards and understands the intended use for Saxon math. (And I've not purchased any items from him, I just read the free newsletters). We have made several beneficial math usage adjustments over the years based on Art Reed's recommendations. We do not skip any math lessons, not even if it seems like the next level will cover the topic too. We do not skip any problems, even if there are two (or four) of the same topic in an assignment. I learned that I can either use the curriculum correctly, or I can take the risk of possibly making things too difficult for Amber. Despite my intentions, it appears I was misusing the curriculum during Algebra 1/2 and caused the resulting stress. During my research for a solution to Amber's math anxiety I came upon a recent Art Reed blog entry about grading assignments. Apparently, it is not recommended to grade each and every math assignment at this level. Yes... you read that right. I was a little taken aback by that and Fred pretty much told me his math was graded and Amber's should be too. The given reasoning is that the students take a test after every 4 lessons, with material that has been covered for at least 8 lessons prior to the test. They are not expected to have mastery prior to the test. Also students do not generally put their best work forward on daily math assignments, but do put more effort into their tests. We had noticed this with Amber. She could get all the problems right on a test, but miss quite a few on an assignment. She also might miss several on an assignment, but when asked to correct the incorrect problems could get the proper answer with no help at all. After discussion with Amber we went forward with this new system. I still teach each lesson topic to Amber as I've always done. She still completes all the problems for the lessons. Amber agreed to come to me when working assignments if she feels that she did not sufficiently understand a topic. I don't grade daily assignments unless Amber feels unsure about her understanding. Then I check just those problems she is concerned over. I do grade the tests and go over any errors with Amber to ensure her comprehension. There has yet to be an issue with the same types of problems two tests in a row. Perhaps there is something to this system. 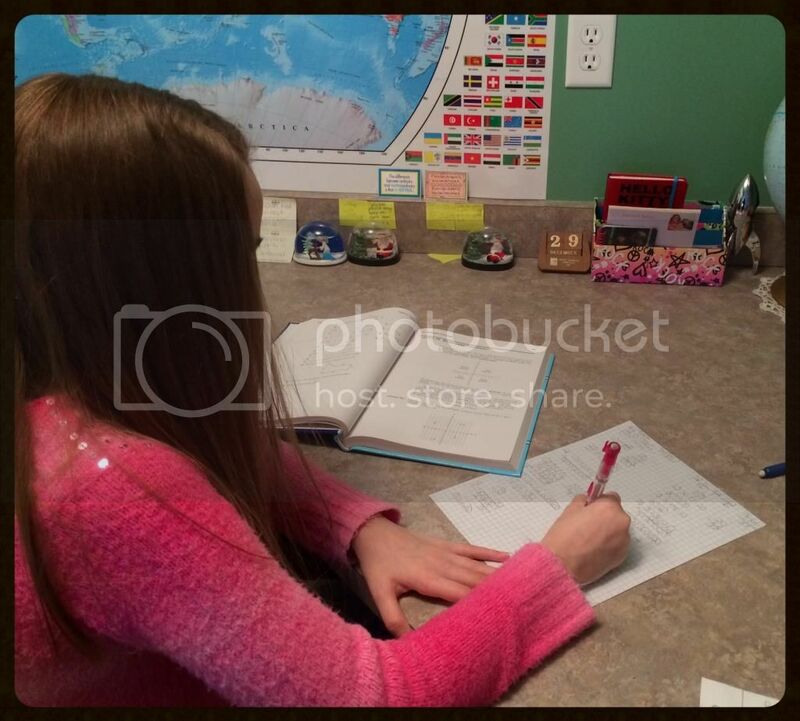 Amber is definitely less stressed by daily work and feels confident by the time the test on each topic comes around. We plan to keep with this method for the foreseeable future and hope it encourages learning instead of worry about grades.